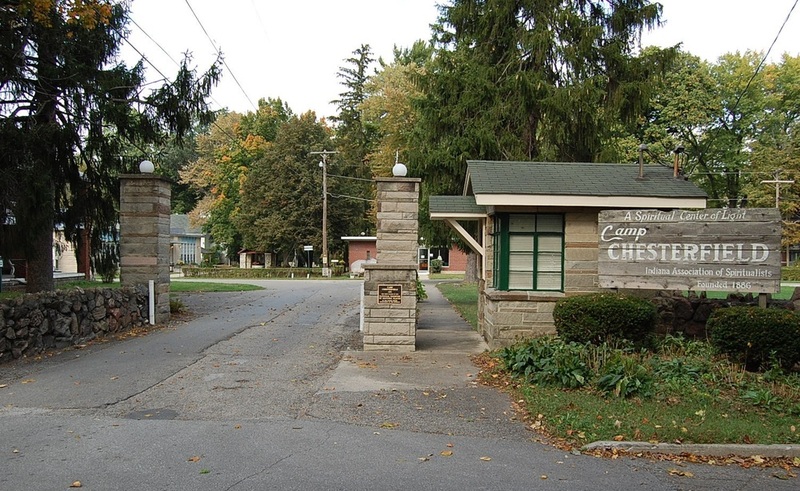 The Chesterfield Spiritualist Camp was established in 1890 outside of Anderson, Indiana. Modern spiritualism emerged in the mid-1800s and involves the science, philosophy, and religion of continuous life, based on the communication through a medium with those in the spirit world. The camp setting was used to meet, exchange ideas, and witness the demonstrations of famous mediums and believers streamed to these sites all over the country. Spiritualist camps in the 1870s originally consisted of tents and were known for the festive and entertaining environment. Eventually, more permanent structures were built including both public buildings (auditoriums, hotels, cafeterias) and private (cottages). As time went on, more and more cottages were added and what had started out as a 2-6 week summer session evolved into a year round settlement. By 1924, spiritualist camps could be found in almost every state, and spiritualism was particularly strong in Indiana. There were two state associations, one established in 1888 and the other in 1904, and there were churches in Veedersburg, Angola, Muncie, Yorktown, Crawfordsville, Greensburg, Fort Wayne, North Vernon, and Indianapolis. In fact, there were over fifty churches in Indiana by 1924 with an estimated attendance of over half a million people. The six week camp session at Chesterfield drew over 20,000 in 1927. Today, the Chesterfield Spiritualist Camp contains a variety of buildings dating from the 1900s-1950s. The cottages are a variety of modest structures that are arranged around a large centralized wooded green space. It is one of the few spiritualist camps that remain today; there is one in Florida and another in Maine. Chesterfield was listed in the National Register of Historic Places in 2002. 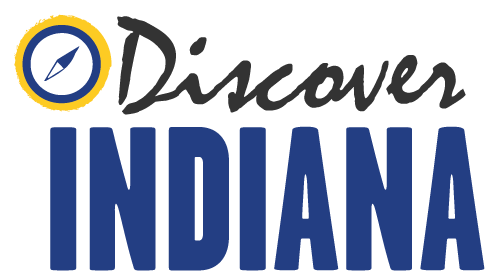 Indiana Division of Historic Preservation and Archaeology, “Chesterfield Spiritualist Camp,” Discover Indiana, accessed April 25, 2019, https://publichistory.iupui.edu/items/show/308.